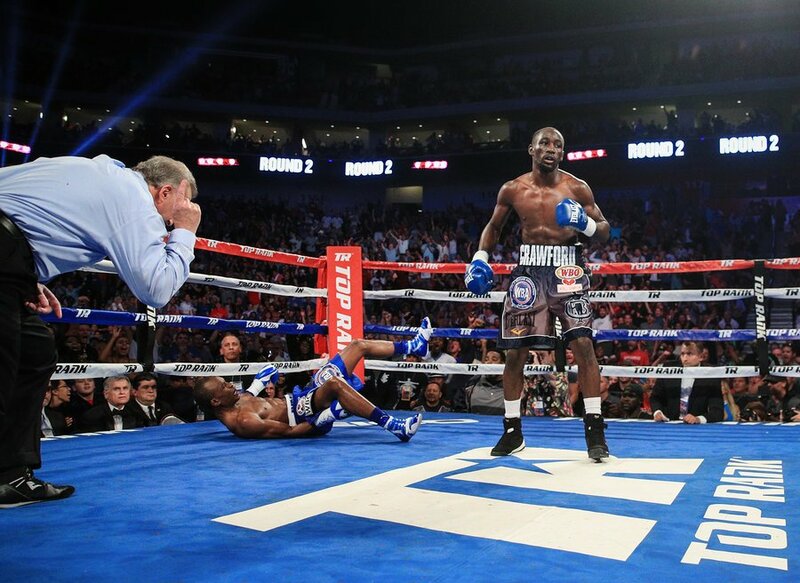 Terence Crawford is “actions speak louder than words” personified. He doesn’t waste his breath talking about his opponents. And sometimes that leaves writers scrambling for angles when penning stories on the former unified junior welterweight champion. He’s not necessarily soft-spoken, because when he says something, you can feel his intentions — and for the most part, his intentions are bad. His opponents find out the hard way when they step into the ring with him. Those close to him have noted a nasty streak buried deep inside of Crawford that comes out when he’s in the ring. 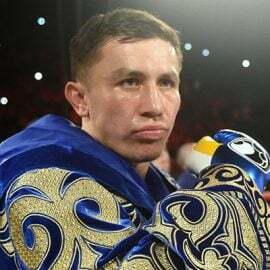 Opponents and sparring partners have been tormented by the 30-year-old who has an innate ability to adjust on the fly. When he switches stances, he becomes a different fighter entirely. He’s a pick-your-poison kind of guy. If you want to slug it out, he’ll play that game better than you. If you decide to try and outpoint him, he’ll do that as well. Do whatever you want in there, because he doesn’t care. He’s got the answers and shame on you for trying to come up with questions you think he hasn’t seen before. But try to bait him into trashing his opponents and you’ll come up short. If you want to see Crawford’s opponents trashed, it will come courtesy of his two fists inside of the squared circle. This is what makes him both fascinating and a bit troubling when it comes to a society that preys on controversy to make its stars. Nevertheless, Crawford is at it again a few days before he steps into the ring for the first time as a welterweight to face Jeff Horn (18-0-1, 12 knockouts). He’s not saying a whole lot, but he’s keenly aware of everything Horn and his team has said about him. They’ve questioned Crawford’s size, the injury that postponed the fight and suggested that Horn could get him out of there in a round. 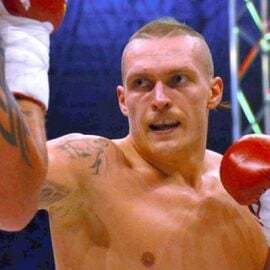 “Bud” isn’t ignoring it; he’s taking it all in and computing the kind of beating he wants to put on the Australian on Saturday night when they clash in the main event of the ESPN+ card that takes place at the MGM Grand Garden Arena in Las Vegas. 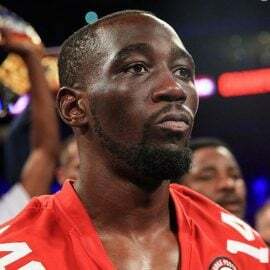 If the final press conference and the intense staredown was an indicator, Crawford has plans of unleashing a torturous amount of punishment on his opponent. “They’ve been talking a lot and everybody knows how I respond on people who run their mouth,” Crawford said earlier in the week. 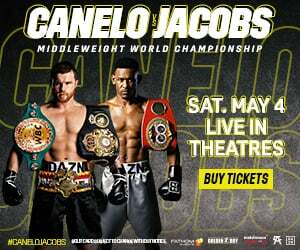 He’s 32-0 with 23 knockouts and widely recognized as one of the top three pound-for-pound fighters in the world (THE RING has him ranked No. 3). He’s put a beating on all his recent opponents, with the last one, Julius Indongo, only lasting three rounds with the fighter from Omaha. But if Crawford feels like dragging his opponents into deep water and eventually drowning them, you can take note of what he did to Felix Diaz, whom he stopped after 10 rounds of violence. 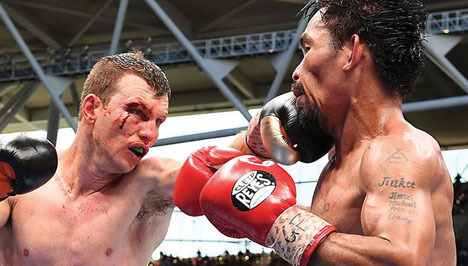 Horn is brimming with confidence after getting by Manny Pacquiao last year. 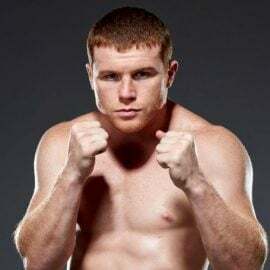 The Australian used his physicality to squeeze out a questionable decision and plans to use his size and strength in the same manner against Crawford. But if that’s the plan, Crawford isn’t impressed. It’s been a question that continuously crops up from Australian media. After a while, you can see that Crawford is tired of talking about it. He points to another pound-for-pound king as an example of how size doesn’t really matter all that much when finally stepping into the ring. 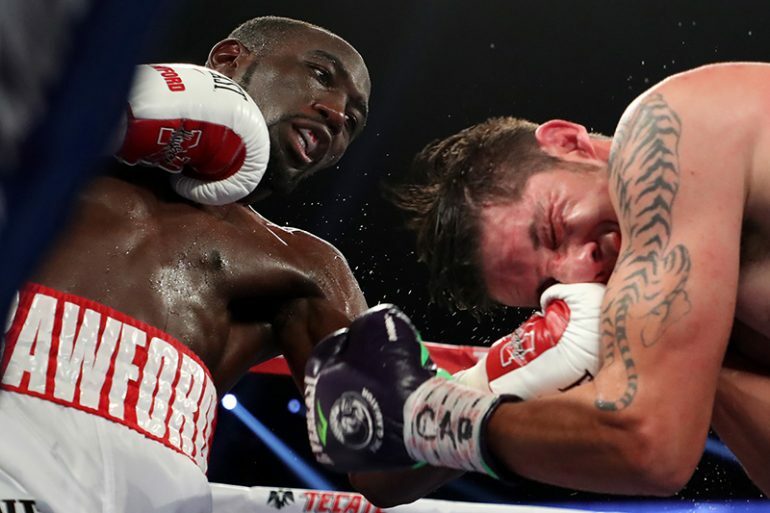 Most view this as Crawford’s violent introduction to a crowded 147-pound division loaded with talent and big fights. 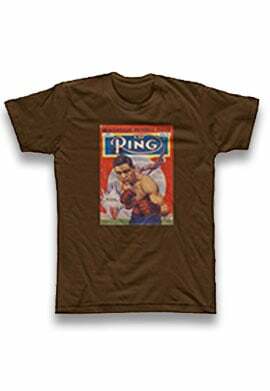 If he can snare away Horn’s WBO title, he’ll continue the process of belt collecting that began at 135 pounds. The problem that everybody sees coming is the politics that may prevent him from facing the bigger names in the division. 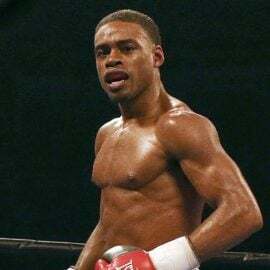 Keith Thurman, Errol Spence Jr, Danny Garcia and Shawn Porter are under the Al Haymon/PBC umbrella, and considering the risk Haymon would have to take by pitting one of his fighters against Crawford and splitting the proceeds with Bob Arum, chances are he’ll do everything in his power to keep the money in-house. That means that Crawford could be the odd man out in the division. 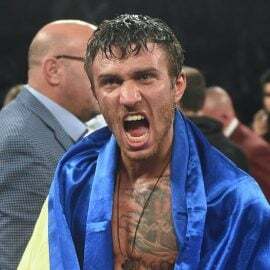 But he’s not necessarily worried about it and figures that a fight with one or all of those fighters could come to fruition. If you asked him who is likely to be the man he’d face once the dust settles, Crawford points to Errol Spence. But he also notes that “anything can happen” and that he’s not worried about the future. As a matter of fact, creating a list of long-term goals is pointless for him. “I’ve got short-term goals, because tomorrow is never promised,” he offers. Of course, that means to stop asking him questions about anybody other than who he plans to beat up on Saturday. He’s zeroed in on Horn and could care less who he has beaten and how. All he knows is that Horn isn’t disrupting his night with trash talk or suggestions about how he’s going to be the first person to pin a loss on the Nebraskan. It’s those last words that linger the longest. He’s not saying this arbitrarily. He means it. At Thursday’s press conference, he reiterated his stance. There’s a chill that wisps through the area after he speaks. It’s not clever or meant as an insult. For Crawford, it’s just a fact. He hasn’t been proven wrong yet and he’ll be damned if Jeff Horn ends up being the first.